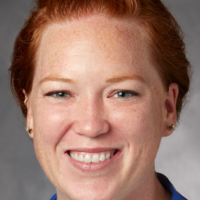 Dr. Molly Estes completed her residency training at the Stanford/Kaiser emergency medicine residency program and a fellowship in medical education also at Stanford. She currently works as clinical faculty at Loma Linda University. Some of the past projects she has worked on include beginning a required medical student emergency medicine clerkship experience at Stanford School of Medicine and participating as an instructor for an international emergency medicine training program in Yangon, Myanmar. Her professional interests include medical student and resident medical education, hematologic/oncologic emergencies, and developing simplistic approaches to complex management topics such as massive transfusion strategies. Her other hobbies include traveling, cooking, and spending time with family and friends.